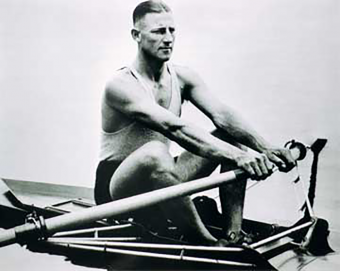 Born in Sydney Australia in 1905, Henry Robert Pearce, better known as Bobby Pearce, dominated the world of competitive rowing throughout the 1920s and 1930s and was extremely popular with fans of the sport due to a combination of the ease with which he seemed to best opponents and his affable personality. Perhaps the greatest example of both of these things in action was the time Pearce stopped mid-race to allow a duck and her ducklings to pass in front of him and still won. This particular anecdote from Pearce’s life occurred at the 1928 Summer Olympics in Amsterdam during the quarter final of the single sculls event in the Sloten canal. For anyone unfamiliar, the single sculls is essentially a race between individual opponents along a body of water and it has been a staple of the Olympic program since 1896. Prior to taking part in the quarter final event at the 1928 Olympics, Pearce had already made quite a splash with locals by beating his previous two opponents by nearly 30 seconds each, winning his first event with such a comfortable lead that, according to a contemporary report from the Sydney Morning Herald, he pulled up before the finish line to wait for his opponent to catch up a little. Pearce’s opponent on the fateful duck match quarter final was a Frenchman called Vincent Saurin, a powerful rower who during his career would win nine national titles and medal at three European championships. Despite his opponent’s pedigree, Pearce was able to effortlessly pull away and secure himself a near half-minute lead before the half way mark of the 2000 metre race. In an interview with historian Henry Roxborough in 1976, Pearce recounted what happened next. “Had to lean on my oars…” isn’t quite accurate. He could have simply plowed through them, but chose to pull up. While all this was happening, Saurin made up the lead Pearce had secured and, showing far less concern for the welfare of the ducks than Pearce had, capitalised on his opponents’ unlikely stint as a duck crossing guard and blew past him, stealing himself a five length lead before Pearce started rowing again. Remarkably, in the final 1,000 metres of the race, not only did Pearce catch up to the Frenchman, but he was able to once again get far enough ahead to secure an almost 30 second lead by the finish line. In the end, Pearce finished the race with a time of 7:42.8 vs. Saurin’s 8:11.8. This, in of itself would be impressive, but it should also be noted that not only was Pearce able to beat Saurin by nearly half a minute after coming to a complete stop in the middle of the race, but in that race he also finished with the fastest time of any of the eight competitors that round. We should also probably mention that this was during the elimination portion of the competition meaning Pearce had risked his chance of winning an Olympic medal for his country in his first Olympics to let the ducks pass. Unsurprisingly, Pearce ultimately won the gold medal for that event, beating out the previously undefeated American Kenneth Myers with a new world record for the 2,000 metre event with a time of 7:11.0. This record stood for an astounding 44 years, finally beaten in 1972 by Yuri Malishev of the Soviet Union. As for the formerly undefeated Myers, his time in that face-off was a nearly equally remarkable 7:20.8, which would have been a new world record, beating the old by almost 15 seconds, if not for Pearce’s time. Despite his incredible talent, as Pearce was barred from competing for money if he wished to continue competing in the Olympics, he struggled to make ends meet for much of his early life, even being unemployed during the early 1930s, scraping a living by collecting scrap paper at the Sydney Showgrounds. His fortunes turned around, however, when he met Scottish whisky magnate Lord Dewar, who happily offered Pearce a job selling his whisky as his official Canadian representative, prompting Pearce to move to Canada, where he lived the rest of his life. Despite the move, Pearce continued to compete for Australia in the 1932 Olympics, in which he defended his title, winning the gold by narrowly beating out American William Miller by a mere 1.1 seconds in the final. While that was a close finish, it should be noted that the nearest competitors behind those two finished a whopping 30 seconds back. Shortly after the 1932 Olympics concluded, Pearce decided to turn pro, barring him from future Olympics, but at least allowing him to earn some money at his greatest skill while his body was still up to it. Pearce’s professional career was decidedly uneventful… by which we mean he won every event he took part in and none of his races involved ducks. He eventually retired undefeated as an adult in 1938. That same year, he even managed to win a title defense race in Toronto just a few days after his wife unexpectedly died. In fact, while we know he must have lost several matches before his first competitive victory at 14 years old, the only definitive record we could find of Pearce ever losing a sculling match was his first one when he was six years old, which was a 16 year old and under youth competition. He finished second in that race. After retiring from the sport, Pearce tried his hand at being a professional wrestler before joining the Canadian war effort during WW2 as part of the Naval reserves. He served in the navy until 1956, retiring as a lieutenant commander. He subsequently spent the rest of his life selling whisky on behalf of Lord Dewar in Canada, later dying of a heart attack at the age of 70 in 1976. Before his sculling career, Pearce served in the Australian army where he was the Army heavyweight boxing champion. 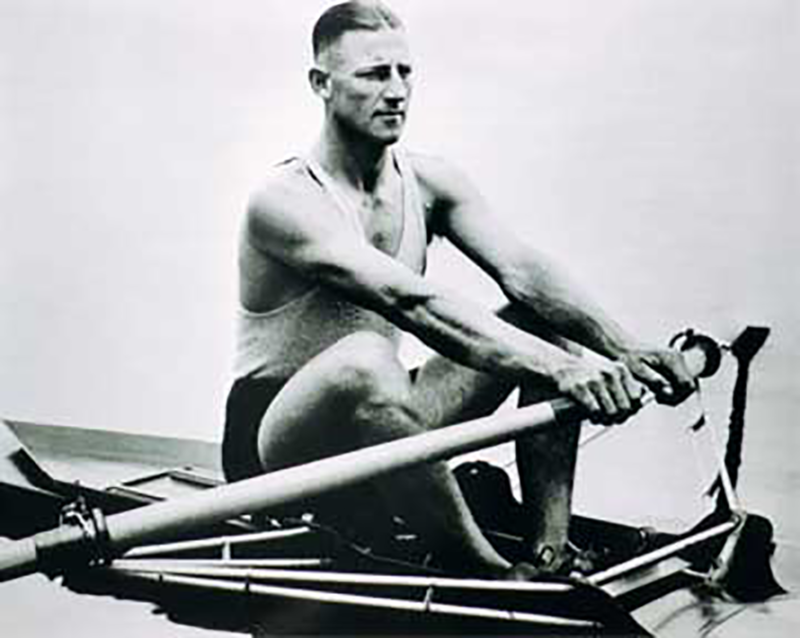 Australians have historically always done well at rowing events and rowers, such as Pearce, had long attributed this to the fact Australians train in the seas rather than rivers and lakes, which are rougher and harder to control oneself in. For Pearce, he was also aided by the fact that he had a rather unique training regime (for the time, though very common today for virtually anyone wanting to get in great shape, let alone pro-athletes), using interval training. In his case, he would sprint for a quarter mile in his craft, then rest for a time, then sprint again, etc. Pearce would alternate this with long distance rowing as his primary methods of training. Virtually every member of Pearce’s family was involved with the sport of rowing in some way, shape or form. His father (called Harry) was a former Australian rowing champion; his grandfather (also called Harry) was a talented sculler said to have once beaten a legend of Australian rowing, William Bleach. Meanwhile, Pearce’s brother Sandy was a professional rower while his son Cecil went on to represent Australia in the 1936 Olympics. As if that wasn’t enough, Cecil’s son Gary also went on to become an Olympic silver medalist at rowing in the 1968 Olympic games. It’s said that the women of Pearce’s family were also talented rowers, though in what matches they competed or how they did in them has been lost to time, at least as far as documented evidence goes. His aunt was also a swimming champion. Although having such talent in his family was clearly a boon to his career, it did cause Pearce some problems throughout his life. For example, when Pearce was first accepted to compete for Australia in 1928 Olympics, rivals accused him of being a professional rower, which would have barred him from competing since the Olympics was only open to amateurs. Pearce swore on his honor that he’d never done such a thing and it later turned out that those who’d accused him and mistaken him for his brother. A similar thing occurred when, immediately prior to the 1928 Olympics, Pearce tried to enter the Diamond Regatta in England to size up the competition, but was refused entry because he self-identified as a carpenter and the race was only for “gentlemen”. Even after being crowned the Olympic champion, Pearce was still refused entry to the Diamond Regatta until 1931, when his entry was sponsored by the aforementioned Scottish whiskey magnate, Lord Dewar, who’d befriended the athlete at an event in Canada.